I have a new layout up on the Pretty Little Studio blog today! 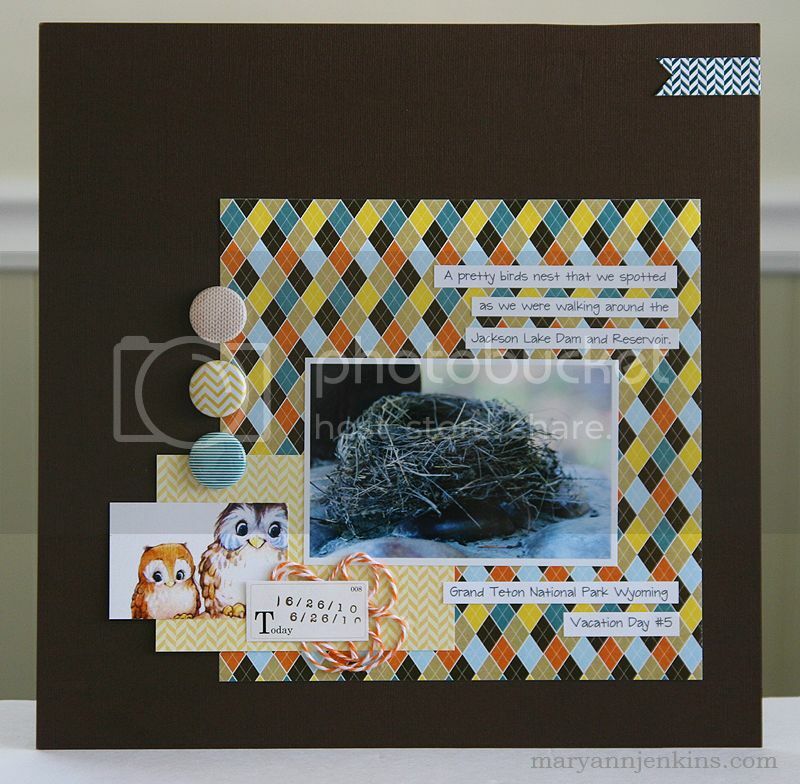 Although I’m pretty sure this wasn’t an owls nest that we found on vacation, the cute owl flash card from the new Nature Walk collection was the perfect embellishment for my layout! I added a bit of twine as a reminder of the little pieces of string the sweet birds had woven into the nest and a few flair buttons too! Thanks so much for stopping by today, it's finally Friday and I couldn't be happier! What a neat layout! I love the papers and accents you have used for this! LOVE Mary Ann!! The pop of colors from the pp looks awesome against that dark Brown background! 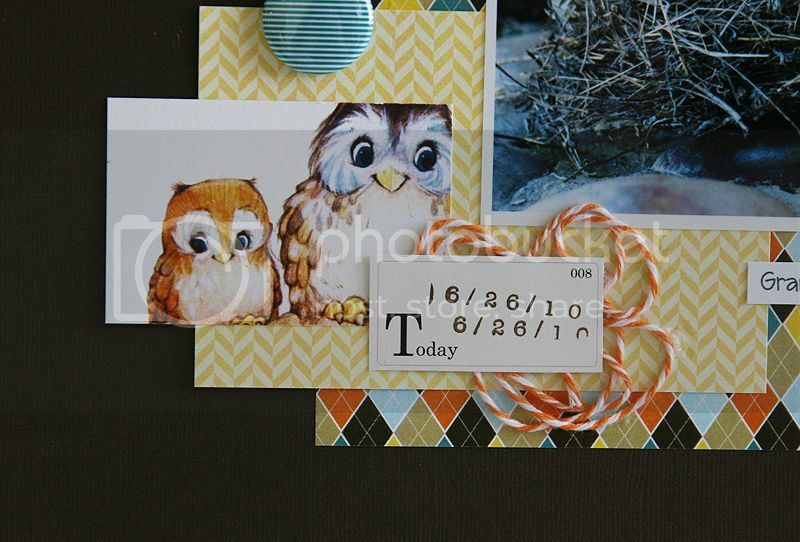 And the little owl card is too cute!